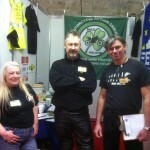 MAG Ireland’s Stand at the RDS bike show was busier than ever this year. With new threats looming from both our own homegrown quangos like the National Transport Authority, and the EU Commission in Brussels with it’s proposals for Type Approval, PTI, etc., it’s good to see that Irish bikers are keen to understand the issues which will affect their right to ride or modify their bikes in the coming years. MAG Ireland is the only national riders rights organisation working to promote an protect motorcycling for motorcyclists in Ireland, and it’s important to us as a riders rights organisation that the issues we all face are clearly understood and acted upon. 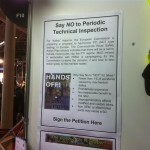 We cannot do this with the support of our members, and it was good to see so many of you in person at the show. Almost 700 of you signed the petition against PTI, but we still need as many signatures as possible. 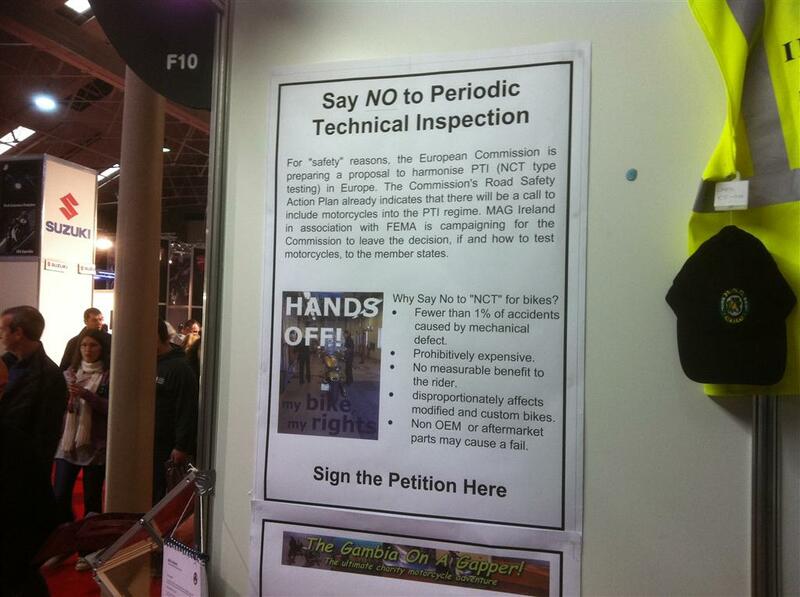 Remember you don’t have to be a MAG Ireland member to sign the petition. MAG Ireland will be forwarding the signatures to FEMA, where they will be combined with tens of thousands of signatures from riders rights organisations across the EU and presented to the EU Commission as a symbol of our frustration with their failure to listen, engage, or properly understand the unique attributes of motorcycling. Special thanks to everyone who joined or renewed their membership at the show. 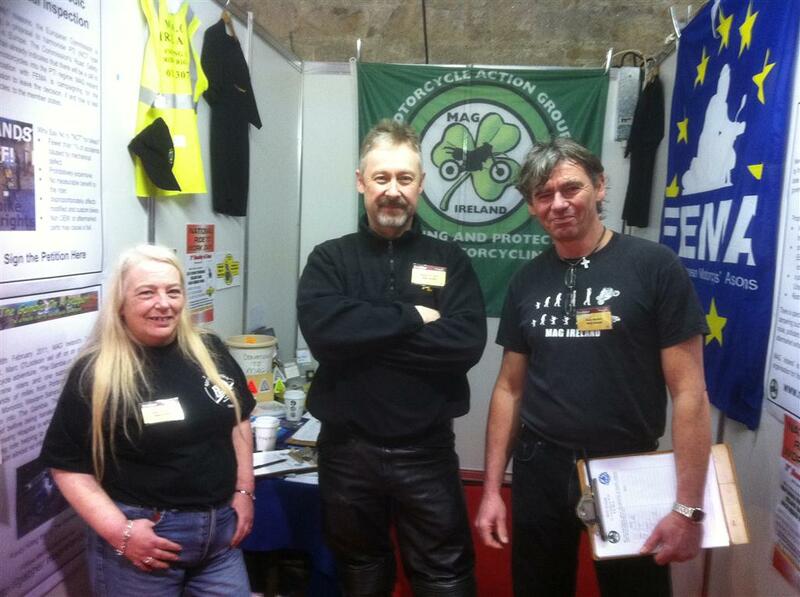 It’s only through your support that MAG Ireland can continue to challenge threats facing our right to ride motorcycles.